You'll be £10.39 closer to your next £10.00 credit when you purchase A History of Cadbury. What's this? Many brands, including Boots, Hoover and Kelloggs, were named after their founders whilst others have less obvious origins; for instance, did you know that Velcro comes from velours and crochet, the French words for ‘velvet’ and ‘hook’? 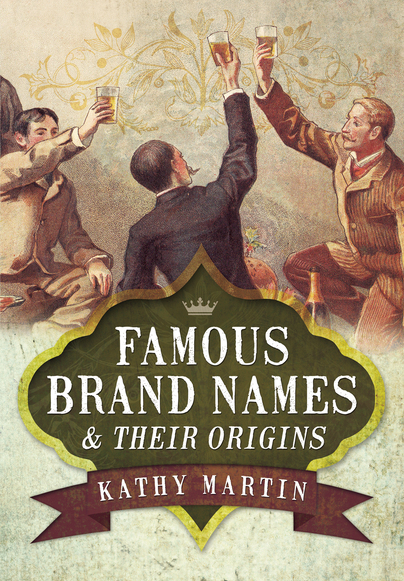 This entertaining book by Kathy Martin explores the stories behind the brands, their names and their founders. Bursting with fascinating facts and period advertising, this must-read book will appeal to everyone interested in advertising, social history, food and famous names.